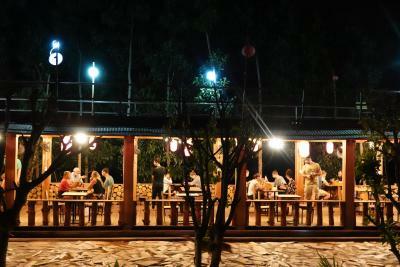 Lock in a great price for Nguyen Shack - Phong Nha Eco Resort – rated 9.7 by recent guests! I can’t say enough good things about this property. If you’re browsing through Booking.com and looking for a place to stay in Phongna, look no further!!! The location is absolutely amazing. It’s peaceful, beautiful and not too far from the main town. The staff is absolutely lovely. They always went the extra mile for us. We truly loved their company. The food was delicious. And of course, our room was so cute. We can’t wait to come back! Wonderful! Genuinely friendly and helpful staff! Bungalow was so great with beautiful design and lovely view with two glass walls. Jungle sounds at night. Magical. Easy, free ride and pickup into town. It's an absolutely amazing place.. lots of space.. my kid loved playing with the animals.. he was so sad leaving all the cute pets. Staff is super friendly and at your service all the time. The place is a bit outside the town but it's a great thing.. no point staying in the town. The shack has good bicycles and they have free car drop service.. Loved it and will visit again. The staff was great. The food was good. You can take a bike for free and they had good prices on tours and rental motorbikes. They provided a lot of helpful information also. This is a very special place, a beautiful and welcoming experience, the staff were so very nice and helped a lot with planning the visit and making the most out of my time there. Thank you!!! You feel relaxed and surrounded by nature. 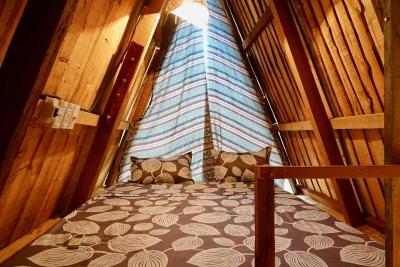 The wooden tents are warm colored, unique and cozy. I slept better there than any other hotel in Vietnam :) It depends on the neighbors since the distance is very close to the other tents, but everyone was respectful and quiet. 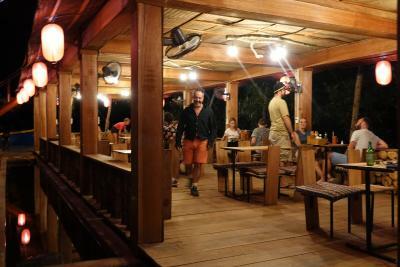 It was fun to be surrounded by playful animals, and just relax in the restaurant - the mango salad is superb by the way! 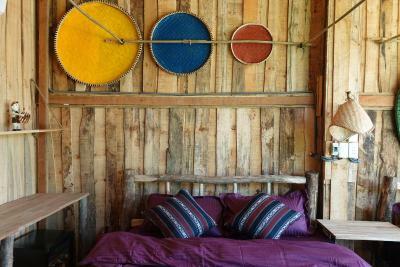 Nguyen Shack Eco Resort is such a beautiful, calm oasis surrounded by nature. 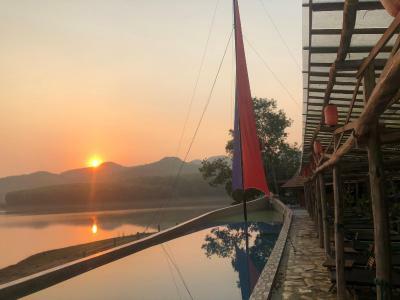 It's located just a 10-minute bicycle ride to Phong Nha town, so it is still very accessible to the town but perfectly tucked away from all the touristic "craziness." We also loved all the cute pet animals on the grounds. What makes this place even better is the great, friendly staff who are so kind and helpful. 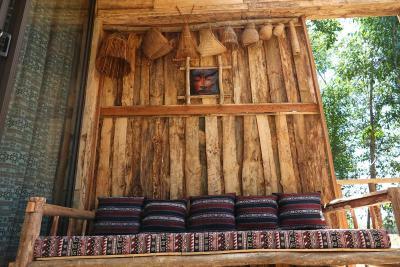 Stay here and enjoy the serene nature and simple life. You won't regret it! We definitely hope to be back to again soon! the hotel's theme is very unique. Love the environmental friendly idea. the view is amazing!! very relaxing environment. Food was good!! The bed sheet was the softest sheet I've slept on. The staff is very helpful and friendly. I would highly recommend booking this place. Lovely place in the countryside, very relaxing, comfortable and within a beautiful scenery. The staff and the owner are very friendly and helpful, they make you feel welcome. They have plenty of activities on the draft to choose from. 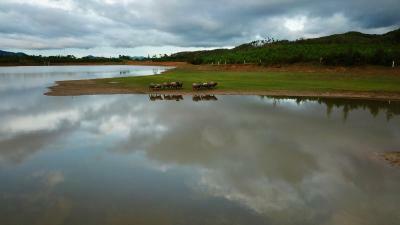 One of our best sellers in Phong Nha! 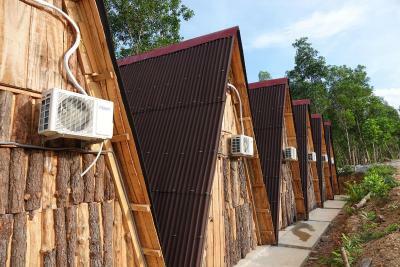 Nguyen Shack - Phong Nha Eco Resort offers private bungalows in Phong Nha National Park. 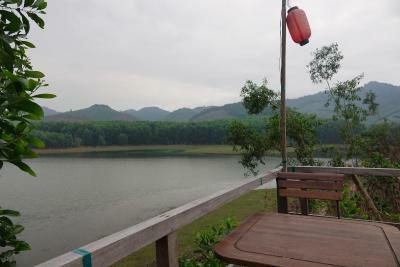 The property features a garden and lake view. 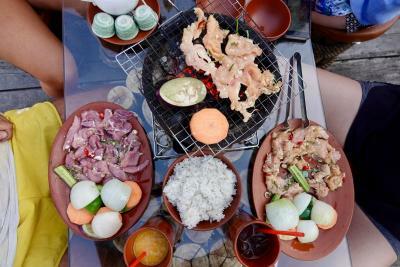 Guests at the homestay can enjoy an Asian breakfas at the on-site restaurant, which serves Asian cuisine. 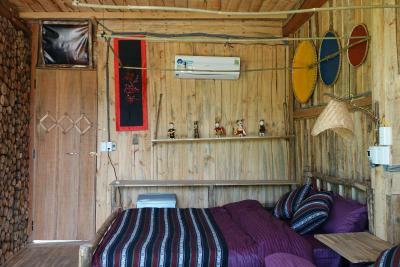 The property is located next to the Phong Nha Bus Stop. The nearest airport is Dong Hoi Airport, 25 mi from the property. 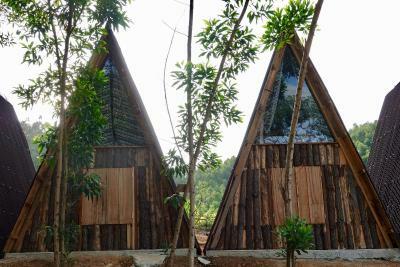 When would you like to stay at Nguyen Shack - Phong Nha Eco Resort? 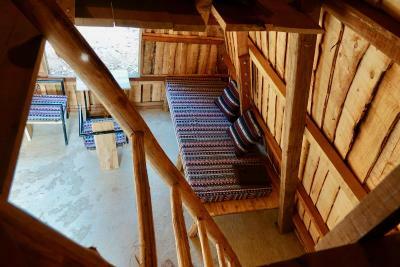 This double room features a balcony, lake view and sofa. This quadruple room features a balcony, seating area and electric kettle. 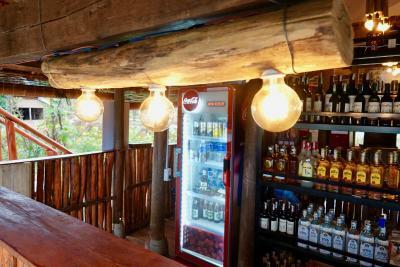 House Rules Nguyen Shack - Phong Nha Eco Resort takes special requests – add in the next step! 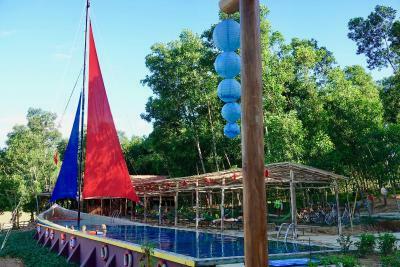 Nguyen Shack - Phong Nha Eco Resort accepts these cards and reserves the right to temporarily hold an amount prior to arrival. The laundry service was bad. My favourite skirt was washed too hot and damaged. Stains on shirt were not washed out. Great people, great location. It is a special place. Loved our stay here! 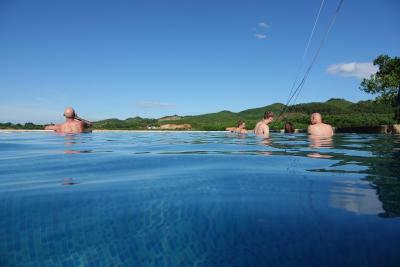 The staff were some of the friendliest we’ve met in Vietnam and extremely helpful. It was nice to be a bit out of the small town, however it was so easy to get to on the quiet roads with the motor bikes or the hotel even does pick up and drop off service into town !! The view from the room was gorgeous as well as so many beautiful animals. Really chilled environment. The staff were really lovely and interested in how you were. My husband was quite unwell when we arrived and one of the lovely ladies remembered the next day and checked to see how he was. The views from the room and pool were gorgeous. The rooms were so lovely. They get very hot because of the glass so make sure you put your A/C on. The food was really lovely. They sort your caving tours out from there and it was a fantastic experience. Everything was perfect. We didn’t want to leave. Thank you very much for a wonderful few days. Bed maybe a little bit hard. Surrounded by animals and nature! Helpful, friendly staff. Free shuttle service in and out of town. Nice food. Beautiful and peaceful surroundings. I had to acclimatise to lots of animals ( pigs, geese, dogs etc) wandering freely! Lovely friendly staff, super helpful. Felt more like a home stay. The bigger bungalows ( quadruples ) are beautiful with plate glass windows for looking out onto the lake from your bed combined with rustic materials. Fab terrace on bungalow w day bed for wildlife watching. Very good value for comfort. Good food cooked all day ( try the diy bbq) . Beautiful setting and wider area. I’m fussy and I loved this place! The location was awe some. Staff were so friendly. Wonderful place on a dead end in a quiet little village. The peace and quiet of this place was fantastic. We had the last bungalow which meant an amazing view through the large windows and a lot of privacy. Huge bungalow, beautifully decorated and with an amazing spacious terrace. Very friendly staff that is eager to have a friendly chat with you. Super helpful in arranging activities and transport. Food was always delicious and cheap. The pool and the loungers and hammocks were great. 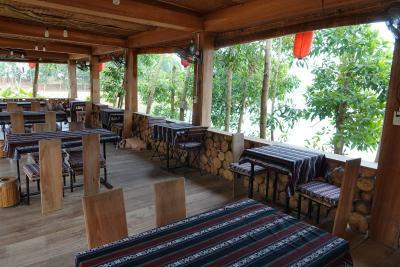 A great place to stay slightly off the beaten track in Phong Nha. If you're someone that might not deal with a bit of local wildlife (e.g. a symphony of frogs at 5am) then bring ear plugs. Also if you don't like a bit of daytime wildlife e.g. a family of lovely pigs and a multitude of puppies then you might consider that. Personally they were highlights for my partner and I. The location is unbeatable. If you are looking for the experience of staying in a beautiful national park in a 'traditional' setting and housing this is the place for you. The staff were particularly wonderful and on hand 24/7 for anything: informative, fun, efficient, offered good advice. Arrived late evening with my girlfriend and travelled back to the Eco Shack with the owner and his father on St Patrick's day/night which, being a fellow Irishman, provided an immediate connection! But the thing that was clear was that there was a really nice and genuine connection and commitment to the to the whole enterprise. Once again the staff were wonderful and I think that speaks to the commitment of the whole enterprise which is working with and seems to be in harmony with the local community. Oh and the food/local chefs were AMAZING! Have anything but I had a Hot Pot, best I had in Vietnam. We arrived at night and were given a lot of information about tours etc that we just couldn't remember.Maybe have this in a pack in each bungalow so we can peruse it ourselves? Nguyen Shack is quite amazing. Its location by the lake is beautiful,the room was stunning with the most phenomenal view, the noise of insects was like I've never heard before, but most of all the staff make it. They just cannot do enough to help you, they are perpetually smiling, chatty and friendly. The restaurant food was delicious too.